Many leaders of family businesses have the expectation that their company will eventually be passed to the next generation and maybe even to the one after that. Perhaps this is why they established the company in the first place: to provide for the family’s financial needs over the long term, building wealth and security in the process. Having possession and control of this type of “economic engine” brings with it the power of options and the benefits that are associated with not having to rely on others to earn an income. Achieving business longevity isn’t so easy, however, as research indicates that successful passage of a company to future generations is not typical. 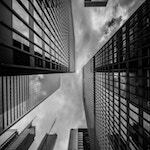 The current environment is characterized by a number of important realities that impact long-term business survival: many companies are led by aging business leaders, most do not have a formal succession plan, and the next generation is getting restless. Couple this with a backdrop of significant disruption in terms of technological, economic, political, and social factors, and it’s easy to recognize that these days are like no other. Business leaders are remaining engaged with their companies for a longer period of time, as traditional retirement has become less of a rite of passage and people are more inclined to lead an active life that includes work. The other side of this trend includes realities such as needing to work longer to support lifestyle expenditures, and indecision around how a company should be transitioned (and family squabbling doesn’t help). Potential successors are seeing little advancement in terms of succession, resulting in the decision to consider other options beyond the family business. As successors themselves get older, this is understandable; however, it can blindside a founder, leaving them to wonder how their “succession plan” could have gotten away. This situation could have serious implications for the future of a company, leaving the business leader to revisit the issue of succession entirely, with little in the way of viable transition options. The number of potential successors is limited, in that the next leader is only a realistic option if they have the necessary skills, interest, and capital to undertake a transaction. Thanks to demographic trends, the pool of potential successors is already smaller than in previous generations, and is further reduced when family members move on to pursue other opportunities. When it comes to demographics, you can run, but you can’t hide. At some point, all companies will require new leadership if they are to continue to operate, and the extent to which this can be done successfully is largely dependent on one thing: thoughtful and formal transition planning. As simple as it might sound, research has shown that the vast majority of business leaders do not do this. Advisors and business owners working together can preserve a lasting competitive advantage and protect a founder’s legacy by facing the challenge of succession planning head-on. It’s an emerging need that astute stakeholders to the business plan will want to address in 2019. 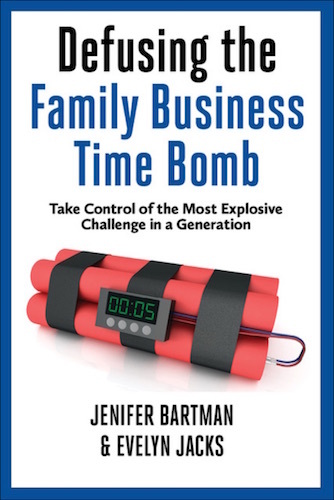 Additional educational resources: Learn more about the implications of demographics and how you can avoid the “trap” by reading Defusing the Family Business Time Bomb. The future of your company and your family’s income stream depends on it.